Subaru, we have a bobsled team! After making an appearance at the 87th Geneva Motor Show, most automakers packed up their vehicles and left Switzerland, presumably to prepare for the next auto show. However, Subaru decided to take a more scenic route, traveling through the legendary Swiss Alps. Subaru’s destination was St. Mortiz, Switzerland, a village famous for hosting the Winter Olympics in both 1928 and 1948. Subaru’s mission was to send a Subaru WRX STI down the world’s oldest bobsled run. 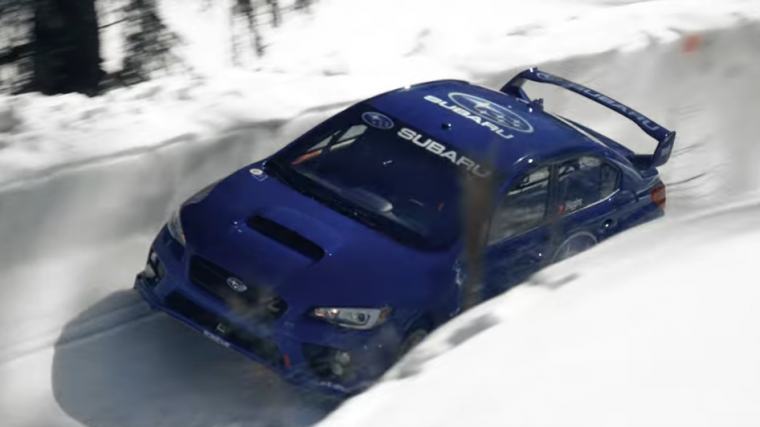 Of course, if you want to send a Subaru down a track that was designed with bobsleds in mind, then you are going to need some major modifications and a stunt driver crazy enough to attempt the stunt. Fortunately for Subaru, it found the resources it needed through Podrive and Mark Higgins. Podrive, a British Motorsport and engineering group, modified the provided Subaru WRX STI model specifically so that it could tackle this insane task. To prepare the WRX STI for its legendary journey down the ice, Podrive equipped the vehicle with over-inflated 135-millimeter tires, complete with 400 tungsten spikes, which probably made the Subaru far from street legal. Additionally, Podrive modified the Subaru model with added steel bracing and a stiff spring rate. With these modifications in place, the Subaru WRX STI was ready for its trial by ice. Now all Subaru needed was a driver who would be willing to pilot its makeshift bobsled. Enter Mark Higgins. Higgins is no stranger to insane motor stunts, as he has served as a stunt driver for films in the James Bond and Fast & Furious franchises. Perhaps even more impressive, Higgins currently holds the four-wheeled lap record for the Isle of Man TT Course, a track that is even difficult to navigate for those driving two-wheeled vehicles. The bobsled run in St. Mortiz is 113 years old, making it the oldest in the world. Furthermore, the bobsled run is the only remaining natural ice track of its kind left in the world. Starting at an elevation of 6,076 feet and twisting and turning for a total of 1.07 miles, the St. Mortiz track is difficult for even bobsled teams to navigate. Therefore, you can imagine just how laborious it must be for Subaru’s signature sports sedan. Although Higgins has never been a stranger to stunts, he had never attempted anything like this. 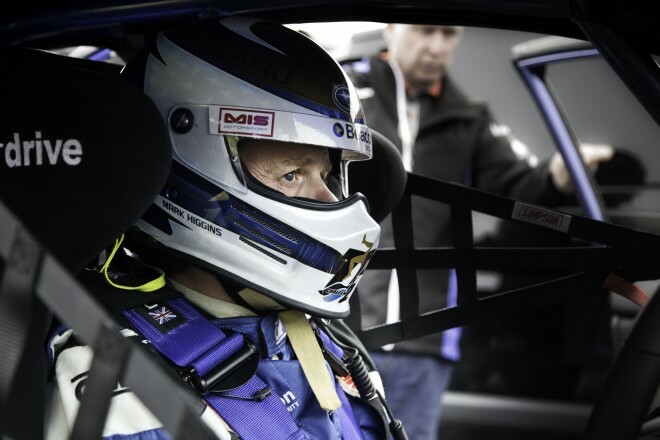 However, the triple British Rally Champion was up for pretty much anything, so he packed his bags and an inhuman amount of courage and headed to St. Mortiz along with Subaru. On its journey down the run, the WRX continuously collided with walls to its left and right, having been much wider than the bobsleds that usually raced down the track. Yet miraculously, the modified Subaru WRX STI was able to complete the run, although perhaps not in entirely one piece. Even though the Subaru experienced moderate damage to its front left side, leaving bits of car behind as it did, the vehicle was still completely operational after the run. With the legendary run by Higgins complete, only one question remains: How is Subaru going to top that stunt? The automotive world will undoubtedly be watching with bated breath.